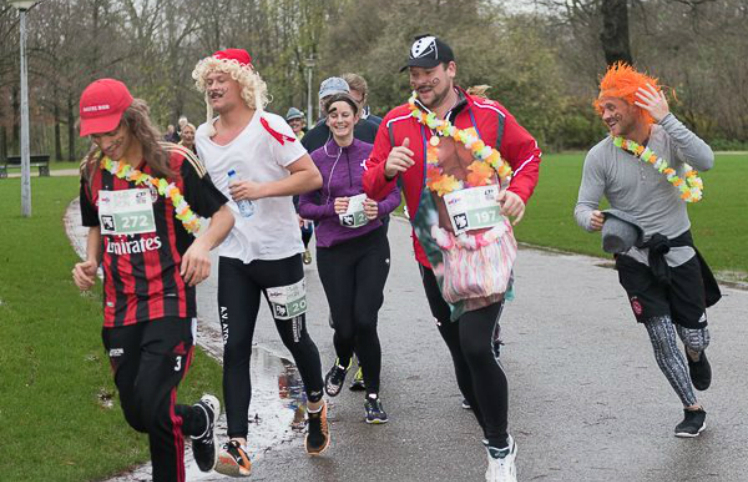 On November 26th, 2016 the 4th Movember Run Amsterdam will take place in Amsterdam's Vondelpark. Just like in previous years, we expect a few hundred runners that will come to the park dressed up to participate to this 5k run. The Movember Run Amsterdam has already been called the craziest run in Amsterdam! Companies can participate to the Movember Run Amsterdam in two ways: as a sponsor and a participant. Below you'll find more information about these two options. Together we can raise awareness for Movember! Sponsors are very important in that respect. The more sponsors will support us, the more we can donate to Movember. Even though the organisation of the Movember Run Amsterdam is fully done on a voluntary basis, we still have logistical and marketing costs (think of using the Vondelpark and promoting the event) to make the Movember Run Amsterdam possible. By sponsoring the Movember Run Amsterdam as a company, we can cover those costs, and contribute as much as possible to the Movember Foundation. Another way to make a contribution to Movember Run Amsterdam is by registering as a group. Challenge other companies and show your colleagues' stamina! Beat the time, come to Vondelpark with your most Original outfit and raise money as a team by creating a group on the Movember site. Register your company team now! Company teams that participated in the MoRun include..